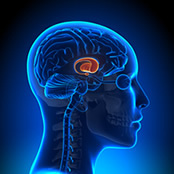 Brainspotting (BSP) was discovered by David Grand, Ph.D. in 2003. Brainspotting is a psychological treatment method that works by identifying, processing and releasing core neurophysiological sources of pain, trauma, and a variety of other challenging symptoms. Dr. Grand believes that “Brainspotting taps into the body’s natural self-scanning and self-healing abilities”. BSP is a brain/body based therapeutic approach that is based on both the relational and neurophysiological attunement with the client. Our attunement with our client is the core of the healing process. The counselor supports and holds the counseling space in an attuned presence with the client as the client learns to focus mindfully inside themselves to shift, rework and release limiting beliefs and body sensations. In the attunement process, the goal is to calm the amygdala, so memories can be released and worked through. Brainspotting benefits the client because it empowers you toward positive change and which helps you to gain control in your life. It can help you to achieve your full potential at work and socially. Anxiety, stress, Post Traumatic Stress Disorder (PTSD), performance issues in life or sports, complicated grief, emotional blocks and more. Why and who chooses Brainspotting?